PegEx is trusted by over 10,000 customers! 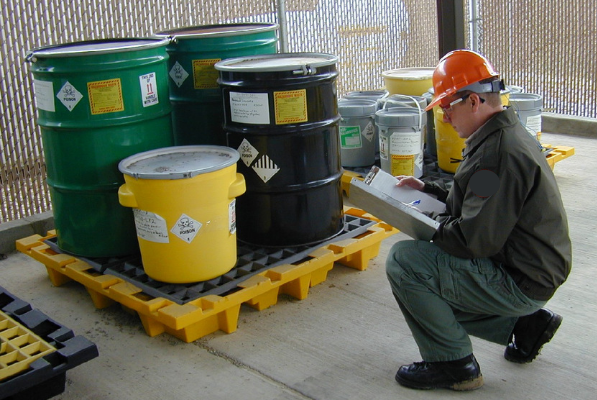 PegEx provides hazardous waste disposal services nationwide to businesses and institutions in the USA. Manage your organization's regulated waste disposal with FREE waste management software by PegEx. We’ll provide you with a firm price quote for most hazardous waste transportation and disposal projects within 72 hours. Our proprietary quote engine, driven by the PegEx Datacore, allows us to provide timely and accurate quotes quicker than any other hazardous waste management company in the industry. Disposing of hazardous waste has never been easier. When it comes to hazardous materials cleanup companies, our motto separates us from our competition. “Any Waste. Any Place®.” It means we can handle your hazardous waste transportation and disposal challenges anywhere in the United States. Our highly qualified, trained, and certified technicians are on call to help you, wherever you are. Get a Free Price Quote. Spill Response Experts provides comprehensive services to customers experiencing emergency and unplanned events. Our team is capable of managing all scenarios in a timely, cost-effective, and compliant manner. Learn how we can provide your company with peace of mind and assistance during unexpected situations requiring immediate response. In a similar circumstance, I now know who to call – Hazardous Waste Experts – and I can count on the job being done professionally and timely. Thank you. Practicing excellent hazardous waste management is crucial within the industry. Hazardous Waste Experts understands that and is the only choice for fast, compliant, low-cost and sustainable solutions to your hazardous waste removal and disposal challenges. When it comes to hazardous waste cleanup companies, we are experts in hazardous waste materials (hazmat) as well as toxic waste removal. We know that wherever you’re located, disposing of hazardous waste can be tricky and that’s why we’re here for you. It’s not always easy to find hazardous waste removal companies who stress the importance of sustainability, compliance, and cost. We understand that the many regulations may be burdensome and that’s why we provide peace of mind by providing fully compliant hazardous waste disposal. Additionally, the hazardous waste removal cost you are faced with may sometimes come as a bit of a surprise. That’s why when we provide you with a price quote, it’s guaranteed to be the lowest price you’ll find and, if it’s not, we’ll do everything we can to ensure we’re competitive. To put it simply, we care about the customer and that’s something you don’t typically find with other hazardous waste removal services companies. We provide services across the entire United States. Our team of hazardous waste disposal specialists, coupled with a broad array of partners, make us the number one choice for on-call hazardous waste disposal services and hazardous material collection. We handle all waste types from industrial, commercial, institutional and healthcare facilities. In addition to hazardous waste disposal services, we offer solutions for hazardous materials (hazmat), chemical waste, toxic waste, ink waste disposal, and comprehensive environmental sustainability consulting services to address unique challenges. Call now and one of our hazardous waste disposal experts will assist you in understanding what options you have for your haz waste, medical waste, toxic waste or regulated waste material. We take pride in finding innovative solutions for the disposal of hazardous waste – including waste-to-energy, tolling, reclaim, beneficial reuse and other contemporary concepts. We will provide you with a range of options that are cost-effective, compliant, convenient and sustainable for your hazardous wastes. Our hazardous waste specialists have extensive experience in hazardous waste removal and management of hazardous materials (hazmat), toxic waste, ink waste disposal, and other regulated materials. We have been developing and implementing solutions to complex hazardous waste disposal problems for many years. When it comes to hazardous waste disposal companies, Hazardous Waste Experts separates itself from the rest. We believe no customer is too small and no customer is too large. The disposal of hazardous waste doesn’t have to be painful, give us a call today so that we can help you with your hazardous material collection.